Good morning friends! These last few days have been hectic. In the midst of packing for vacation and sorting out work issues, I’ve neglected my body. Not going to lie, I’ve eaten like absolute crap all week long. Bouncing back and forth between Chicago style hot dogs, left over Christmas chocolates, and lean cuisines. My mind and body are lacking. Getting back on track with your health goals after a holiday can be difficult. No doubt, it’s become a struggle to get back into the swing of things. So, in an effort to give myself the motivation I need, I thought I’d share some of my go-to fitness and health tips with all of you. n the chips, and get active. A great way to make small strides towards an active lifestyle is making time for a quick 15 minute workout. This could be as simple as jumping jacks, walking the dog, or speed cleaning. The bottom line, you’re making an effort and that in itself is important to recognize. It’s so easy to grab a fruit or vegetable in the morning to take on your way out the door. Most, are effortless to prep and filling for your apatite. Some of my favorites are carrots and ranch dressing, sliced apples, mandarin oranges, and small berries (add a few peanuts and raisins for a simple snack that keeps you going). A good song set up can change my bad attitude to a good one instantly. Try creating your own workout or relax playlist on Spotify. Lean towards songs and albums that make you feel motivated, empowered, and positive. It helps, trust me. Surprisingly, running has been my favorite exercise lately. It’s become so easy to hop on the treadmill and lose track of time. I throw on some of my favorite music and get into it. Before I know it, I’m running miles. If you’re looking for a way to burn calories and fat without the uncomfortable feeling running might give you, try walking. Set a timer and walk until it’s up. The time will fly by. The easiest way to look good and feel good is making sure your body is hydrated. I’ve always struggled with this, until recently. Try swapping out your cups of coffee everyday with water bottles. Always having one with you makes it super convenient to reach for instead of something else. I’ve even found that the larger bottles inspire me to drink more rather than less. Swell bottles are great for this (keeps your drink nice and cold all day long). 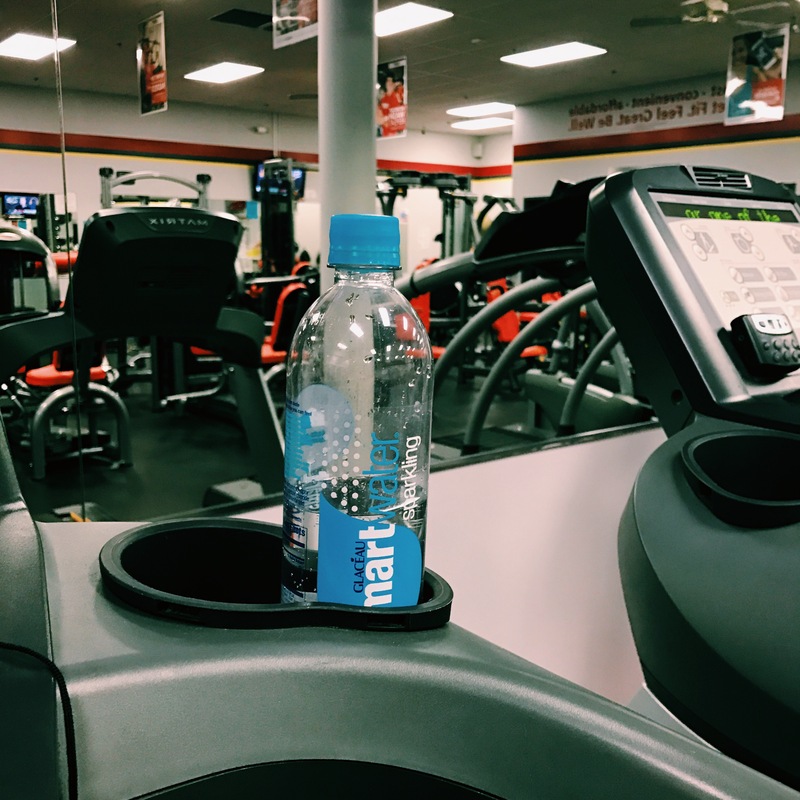 If you’re looking for a less expensive option, Smart Water bottles are large and reusable.